Timber-frame, limewashed farmhouse with thatched extension set in the rural Carmarthenshire, West Wales. 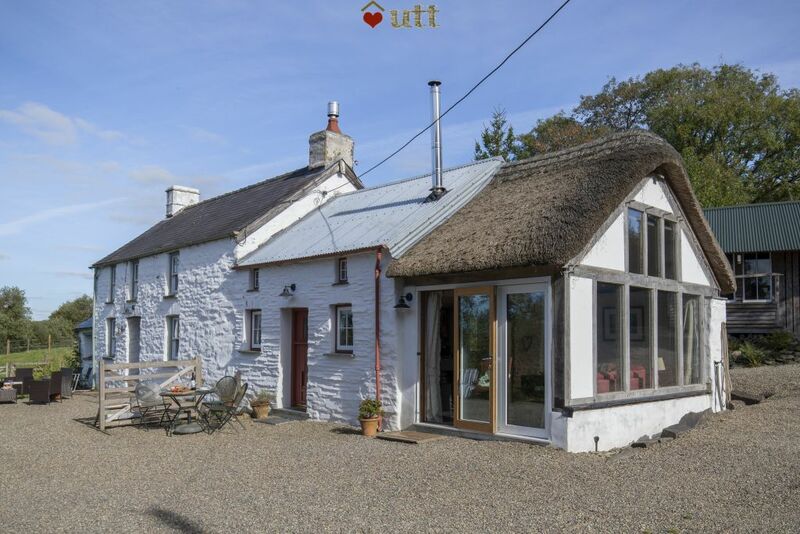 Traditional limewashed detached holiday home with thatched extension and great green credentials in the rural Teifi Valley. 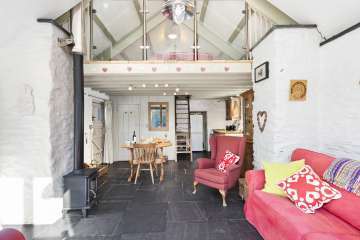 Easy access to all of Carmarthenshire, Pembrokeshire and Cardigan Bay. 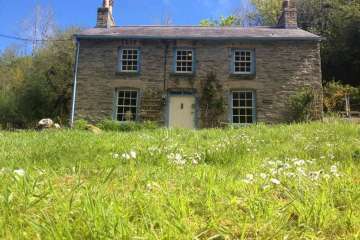 Gwar-Cwm tucked away along a private track located in the heart of the Teifi Valley. 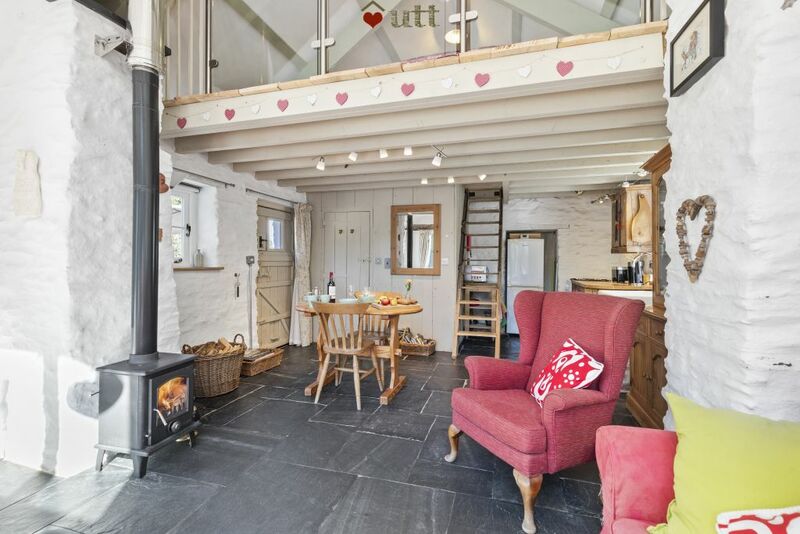 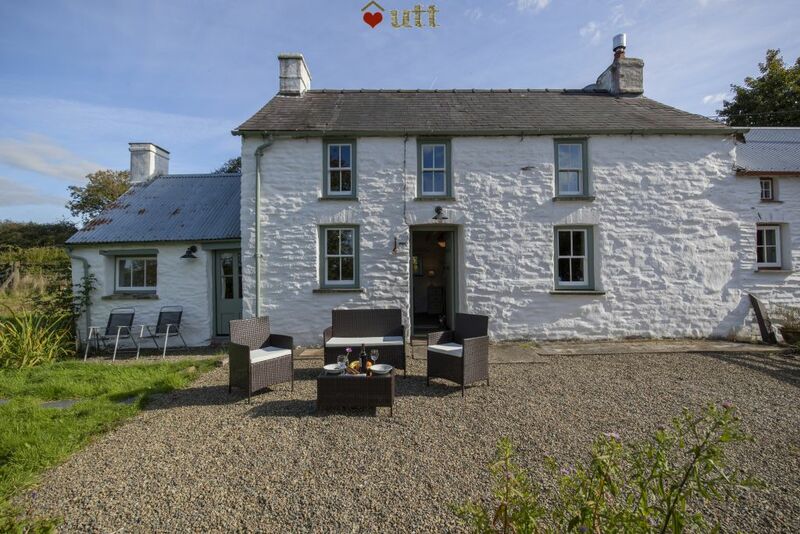 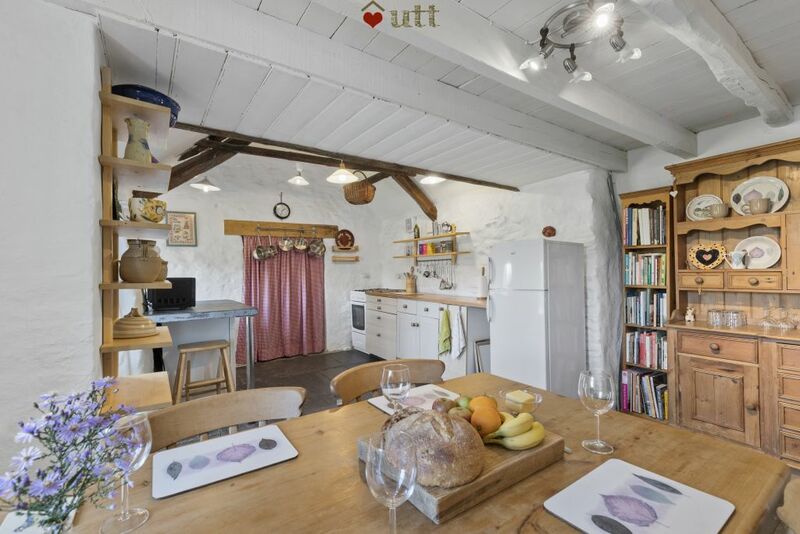 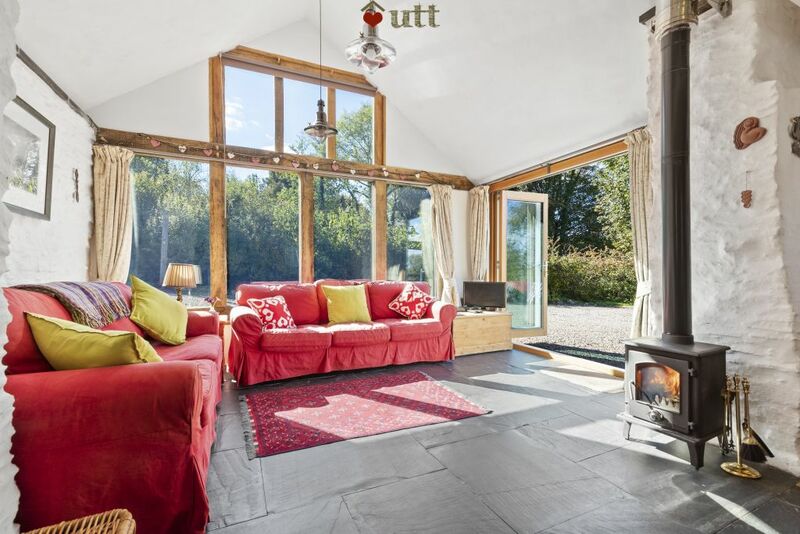 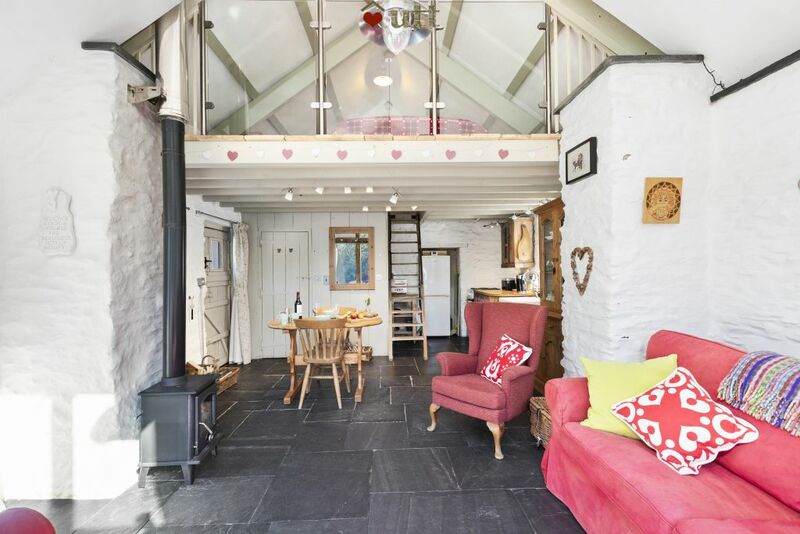 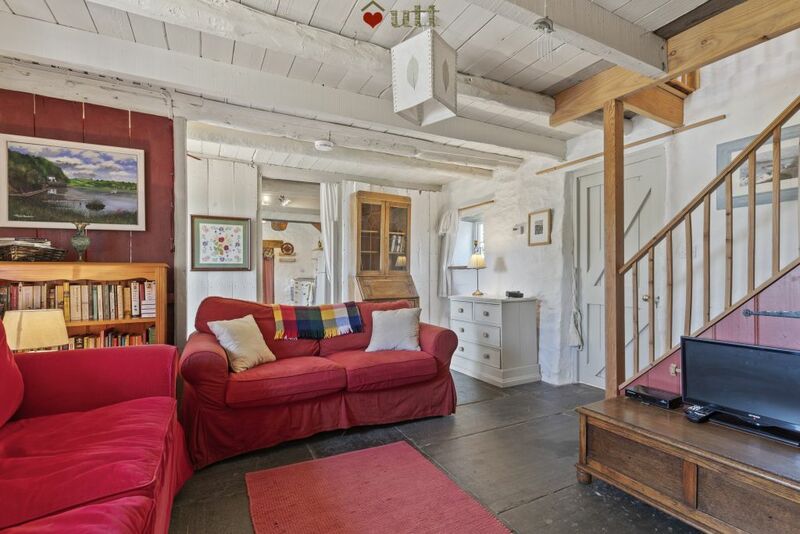 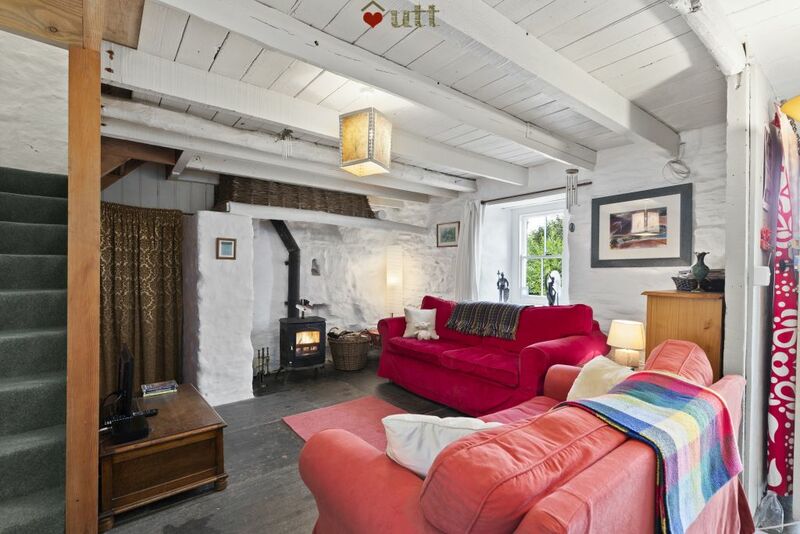 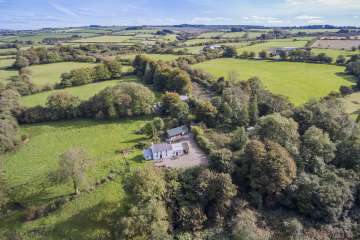 Nestled at the end of a leafy lane, this traditional detached Welsh farm cottage is a cosy place to relax and get away from it all, you will love the sense of tranquillity here. 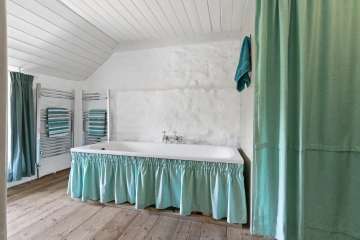 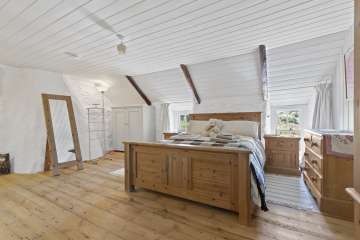 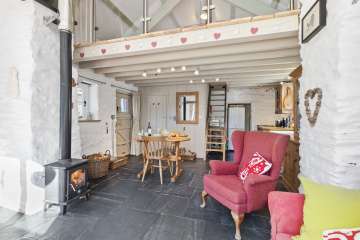 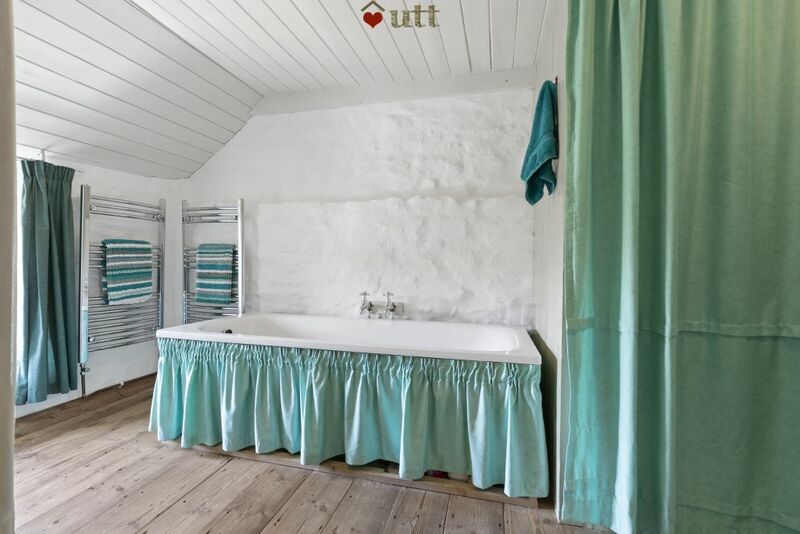 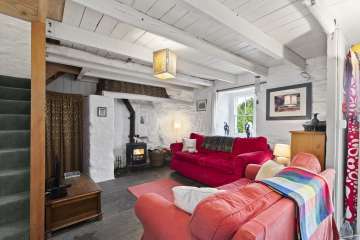 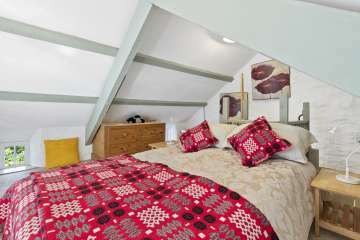 The cottage has been lovingly converted using traditional, environmentally friendly and natural materials. 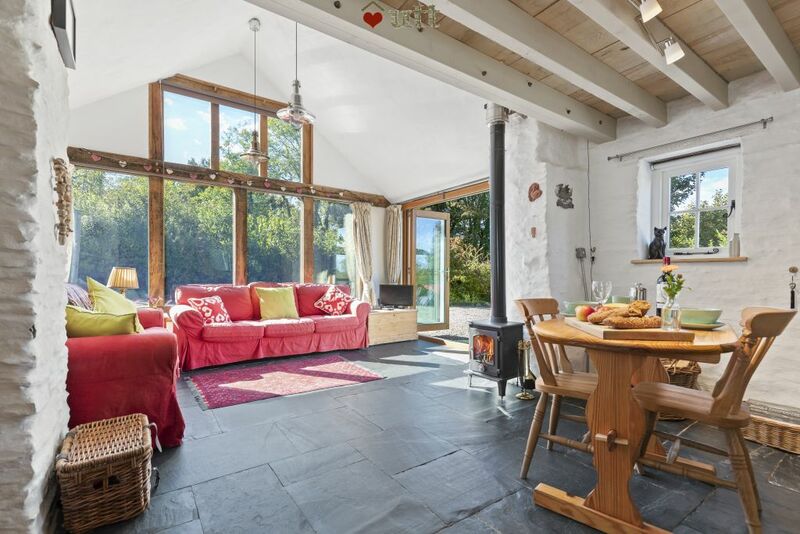 The Welsh slate floor has cosy underfloor heating fired by a low carbon biomass boiler plus you'll have two log stoves to ensure you are snug and warm even in the coldest weathers. 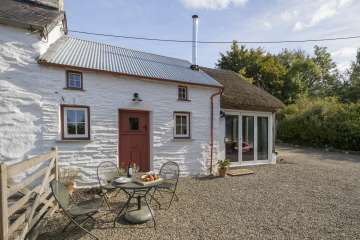 This is the perfect base to explore the beaches on the coastal path, castles, rivers and countryside of Pembrokeshire, Ceredigion and Carmarthenshire. There are footpaths and cycle routes which can be explored from the doorstep as well as local pubs, restaurants and cafes. 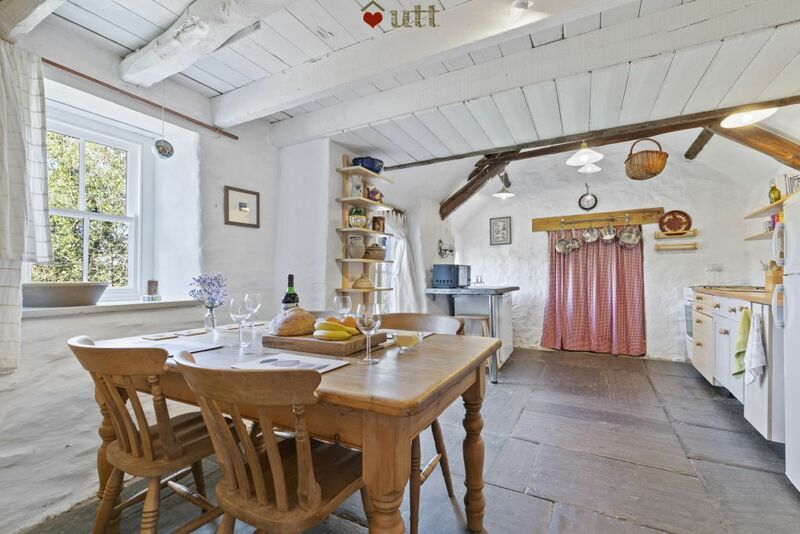 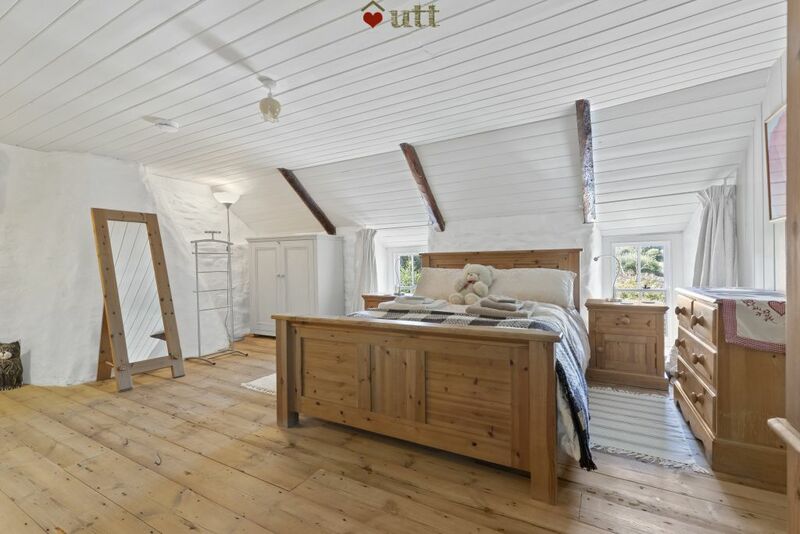 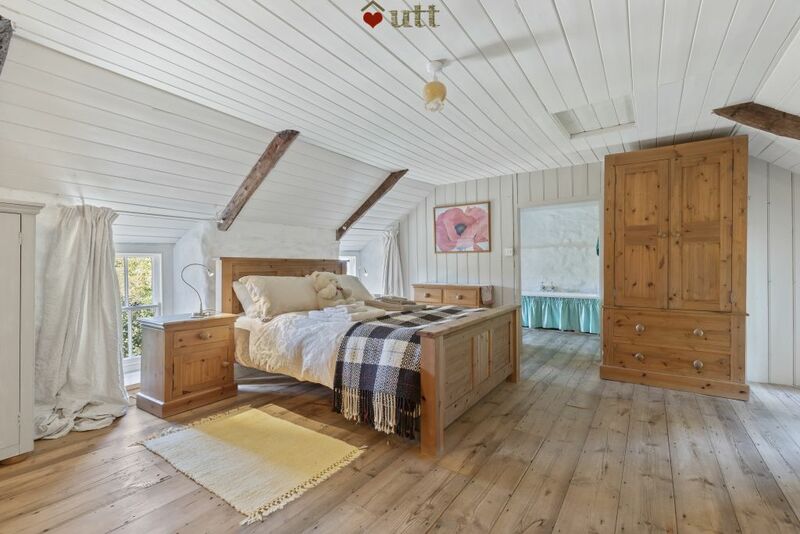 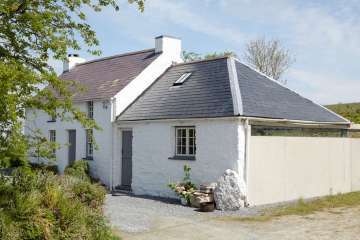 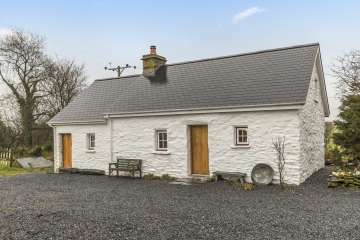 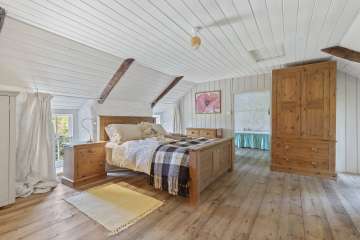 The cottage lends itself especially well to accommodating two couples holidaying together, or a family with teenagers in the croglofft annexe. 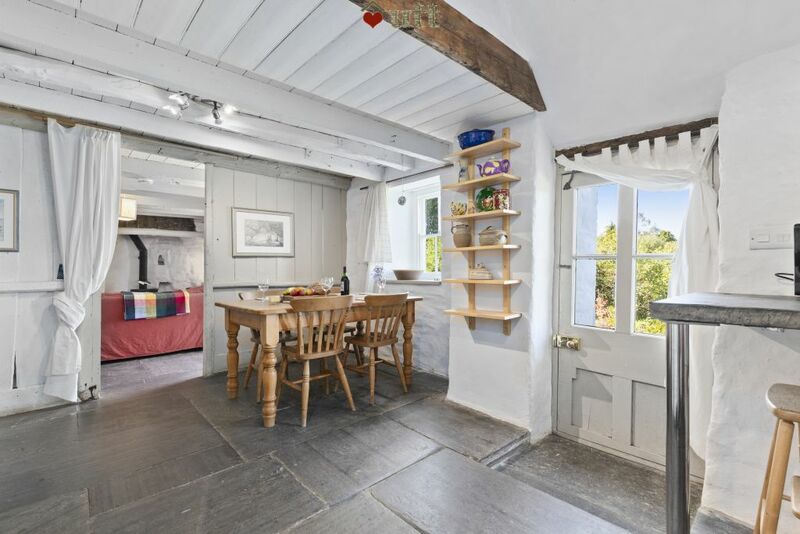 The interconnecting door allows the property to be used as a spacious single property but offer some privacy to each side when closed. 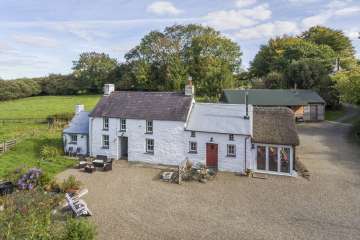 There is ample parking at the house. 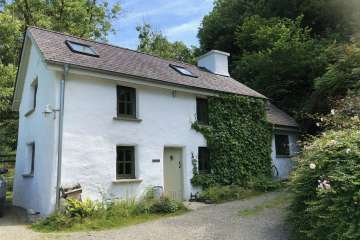 There is also a bus service about 20 minutes walk from Gwar Cwm. 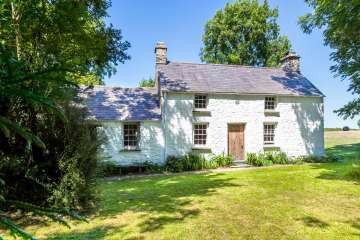 The nearest railway station is 15 miles away at Carmarthen. 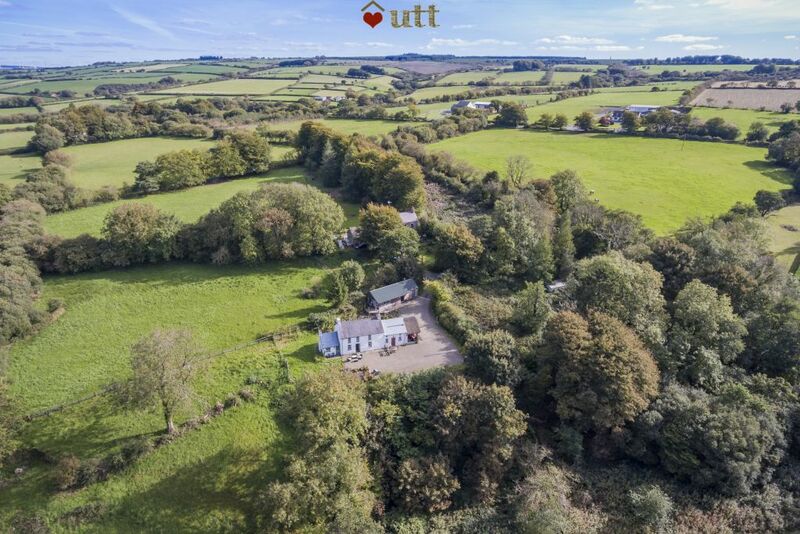 There's a petrol station and shop 5 minutes drive away. 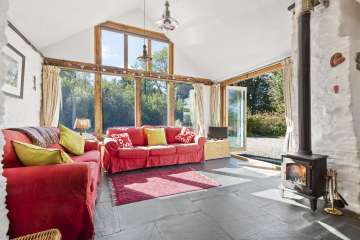 There is underfloor heating and two log burners (first basket of wood is provided, if you would like more, please request a WINTER FUEL package for £35 when making your booking). Narberth/ Carmarthenshire hills of West Wales..
Tanglwst, up in the Carmarthenshire hills.. 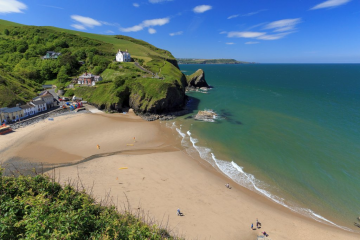 The peaceful Carmarthenshire hills of West Wales..
Near Llangrannog and Penbryn beaches but set down ..